Learn the basic steps you need to take to file a Medicaid application. 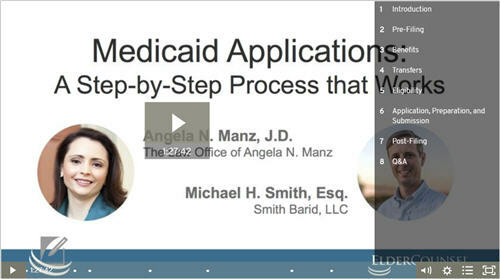 Applying for Medicaid for your client can be tricky. This presentation will cover everything you need to know to file a Medicaid application. You'll learn tips for successful completion and what you need to be aware of throughout the process.